Come experience something new, something fresh... and something very dead! After a sold-out and blowout performance for Payomet this spring, Deadgrass LIVE! is back to help kick-off Labor Day weekend. This acoustic, 5-piece, Greatful Dead inspired band has been thrilling audiences all along the East coast, featuring multi-instrumentalist Matt Turk and Grammy award winner C Lanzbom. Don't miss this great band’s LIVE! 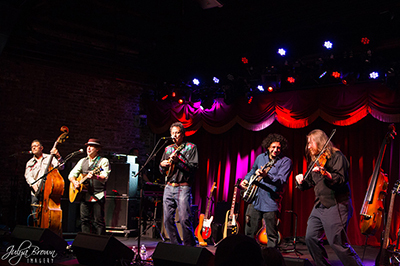 electrifying bluegrass interpretations of the music of Jerry Garcia from his earliest Jug Band days through Old & In the Way, The Jerry Garcia Band, and of course, The Grateful Dead.